I am so so excited to have the wonderful and awesome Chris Russell on the blog today to celebrate the release of his second book in his fab Songs About A Girl Trilogy, Songs About Us. 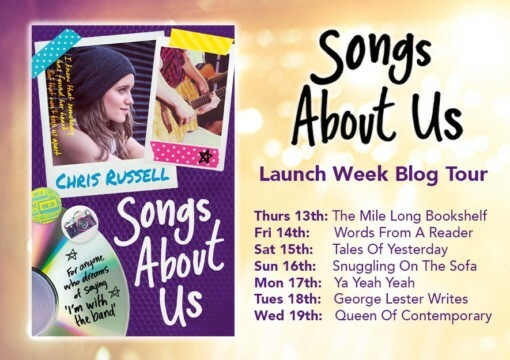 Songs About Us was released on the 13th July 2017 published by Hodder Children’s Books and is set to be a phenomenal read that will set your heart racing! A modern love story for fans of Zoella – and for anyone who has ever dreamed of being ‘with the band’. I’ve met Chris a few times now and I know he is in a brilliant band called The Lightyears so when Chris got in touch about a post I jumped straight in and asked him for his top tips on “Being With The Band”…..
Two months on from the explosive finale to book one, Charlie’s life is almost back to normal again: rebuilding her relationship with her father, hanging out with best mate Melissa, and worrying about GCSEs. All the while, Gabe’s revelations about her mother are never far from her mind. And neither is Gabe. Meanwhile, tensions between Gabe and Olly continue to run high, leading to more turmoil between the band members and press than ever before. But when Gabriel and Charlie stumble upon yet another startling truth that links them together – everything they have stands to implode in front of them. 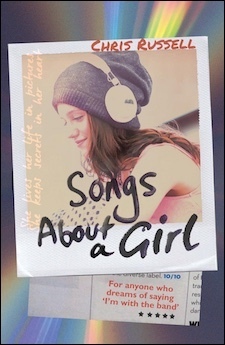 You can buy both Songs About A Girl and Songs About Us here or from your local bookshop! When I was thirteen, my best friend and I went to a Bon Jovi concert at Wembley Stadium. We thought it looked like fun, so we started our own band – a band that, ten years later, would become The Lightyears. Since then, we’ve been lucky enough to tour all over the world, from Cape Town to South Korea, playing at Glastonbury Festival and O2 Arena and supporting members of legendary rock bands such as Queen, Journey and The Who. And though we never made it anywhere near as big as Bon Jovi, we did get to play Wembley Stadium, four times, to crowds of over 45,000 people. Music aside, writing was my first love. In 2014, I published a novel called MOCKSTARS, which was inspired by my tour diaries for The Lightyears. 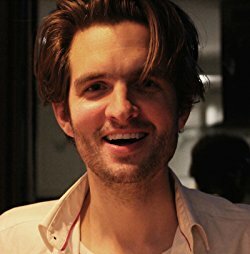 Shortly afterwards, following a three-month stint ghostwriting for a One Direction fan club, I came up with the idea of a YA novel that combined an intense teenage romance with the electrifying universe of a chart-topping boyband. That idea became the trilogy SONGS ABOUT A GIRL, which was signed up by Hodder Children’s in 2015, and has sold in multiple territories worldwide. A huge thank you to Chris for asking me to be part of his fab blog tour and for going along with my insane idea for a video! Also a huge thank you to Hachette for sending me a copy of the book. 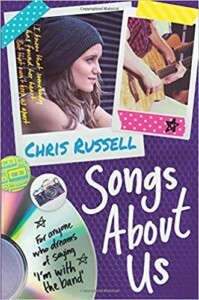 This entry was posted in Contemporary, Guest Post, UKYA, YA and tagged Boybandlit, Chris Russell, Contemporary, Guest Post, Songs About A Girl, Songs About Us, UKYA, YA on July 15, 2017 by Chelley Toy. Ooh, I love a good story about famous bands! Thanks for sharing!